Dr. Lowder is board-certified and dedicated to providing you and your family with the best possible service at an affordable price. Get to know your new orthodontist! 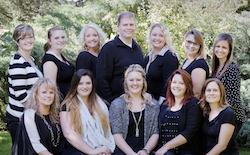 Our team is a collection of professional, educated, and caring individuals who have a passion for making you smile. Come visit us, take a tour of the office, and say hello! Invisalign uses a series of invisible, removable, and comfortable aligners that no one can tell you're wearing. No more goop, gagging, or discomfort. Using an iTero scanner, we can take a highly accurate digital impression of your teeth and jaw. Opal® Seal is a virtually invisible, protective sealant that we use to prepare your teeth before we put your braces on. With indirect bonding, an entire set of braces can be applied, including expanders, in less than an hour! With the fast, safe, and easy-to-use AcceleDent Aura appliance, you can now speed your tooth movement by up to 50%! At Lowder Orthodontics, we believe in making our patients feel at home when they visit our practice. 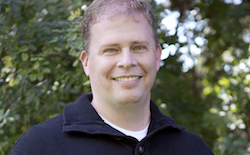 Dr. Phil Lowder and our entire staff like to personalize the orthodontic care experience. This means doing more than just helping you achieve a healthy, beautiful smile. We get to know everyone who comes to our office and we go the extra mile to educate you about how to maintain your oral health. We strive to create a positive atmosphere that is always relaxed and welcoming. Contact our Idaho Falls, Rigby, Rexburg, Afton, or Salmon office to schedule your complimentary consultation with Dr. Lowder. Feel free to direct any questions you may have to our friendly staff.